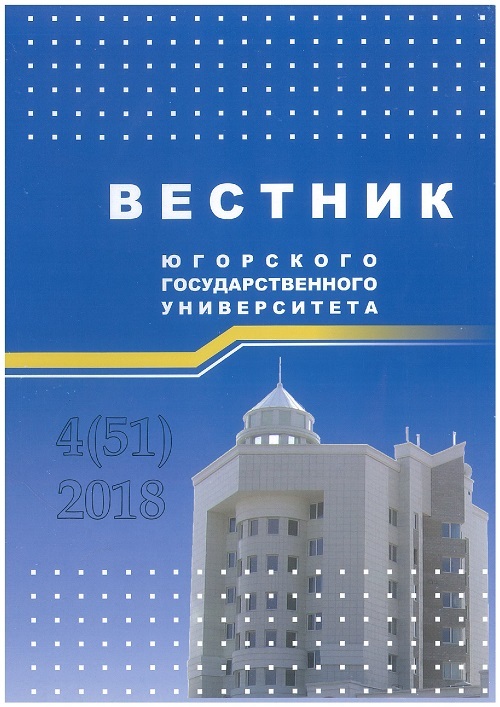 Yugra State University Bulletin has been published since 2005. This is periodical scientific journal of the University, where articles of a fundamental and applied nature are published. The articles contain the results of scientific research conducted by the author (co-authors), which have not been published before. Solodukha V.A., Snitovsky Y.P., Solovyov Y.A. Bikberdina N.Y., Kozhanova M.Y., Kozhanov A.A., Golubenko I.S., Boronenko M.P., Milyukova I.V. Gulyaev I.P., Kuzmin V.I., Golubev M.P., Tyryshkin P.A., Dolmatov A.V.